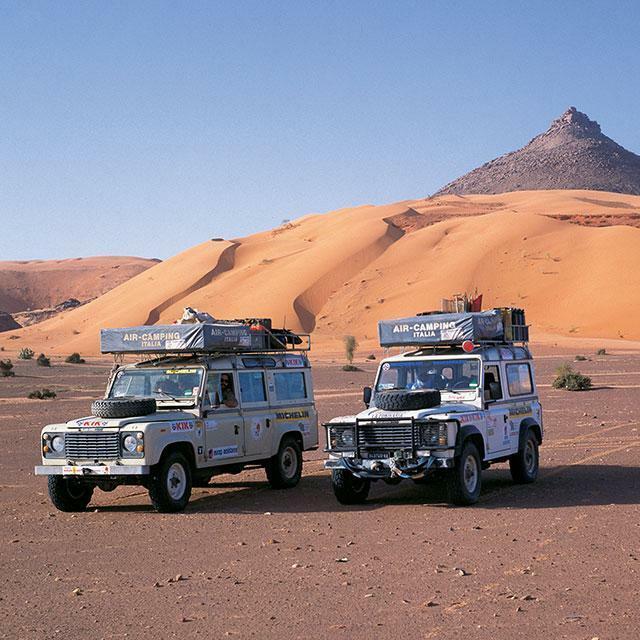 When you are miles away from home – in the desert or jungle, when you are having to endure the harshest of conditions in the most inhospitable places, the success of an expedition depends not only on the ability and skills of the explorer but also on the equipment used. 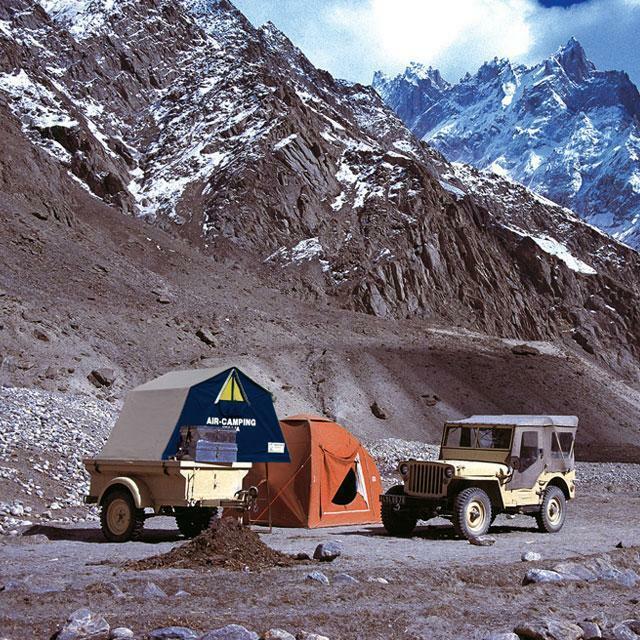 Autohome roof tents will always offer you comfortable and safe accommodation. Lifted off the ground it is safe from nasty surprises! Anyone who has tried Maggiolina on the roof of their vehicle knows there is no better way to sleep while camping: a success proven by many travellers worldwide, of all nationalities, who have chosen this roof tent for its many advantages. 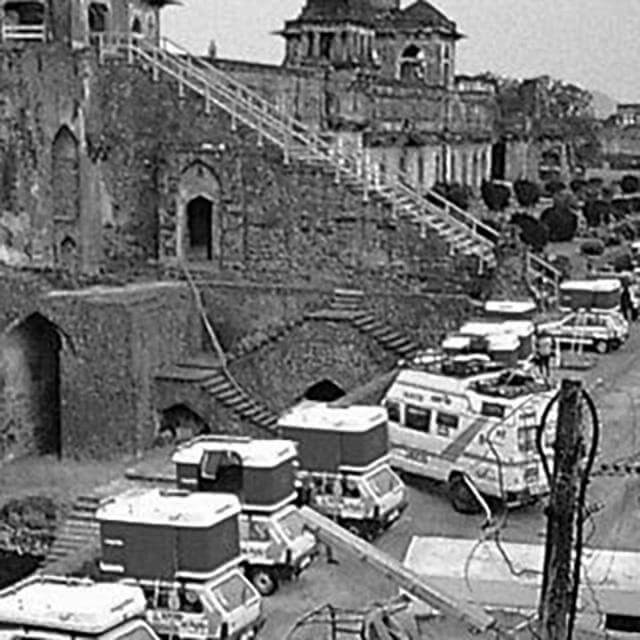 Listing all the journeys and expeditions where Autohome has played a key and successful role is simply impossible. 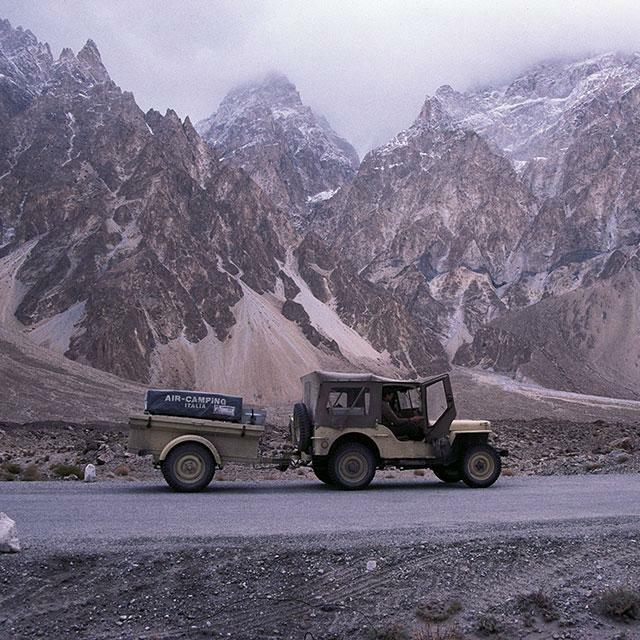 We can only say that Autohome is an ideal companion to share your exciting adventures. Images from the Book "Car Raid" by Nino Cirani, published by Domus. 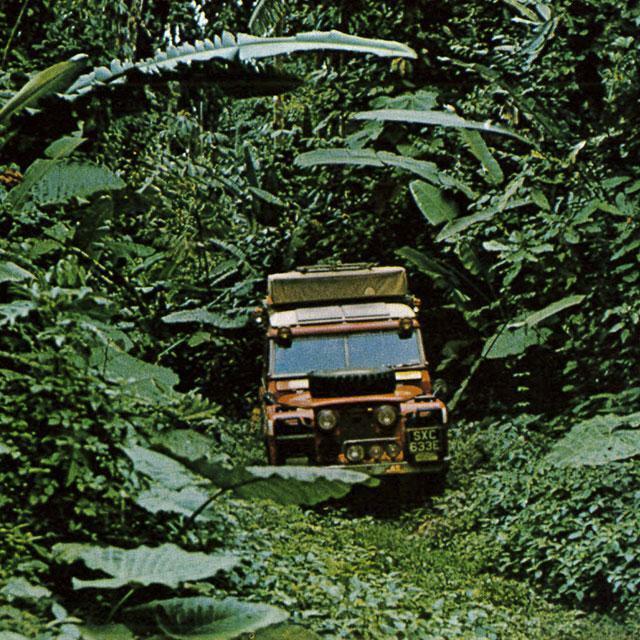 Here the Aziza 3 (Series Land-Rover) is in the Panama forest during an attempt to cross the Darien Gap. 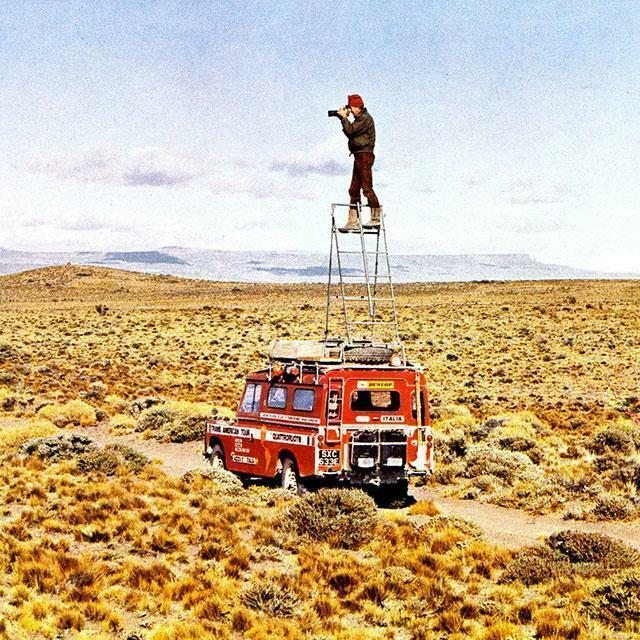 Next Niro Cirani on the ladder to film the Patagonia pampa. 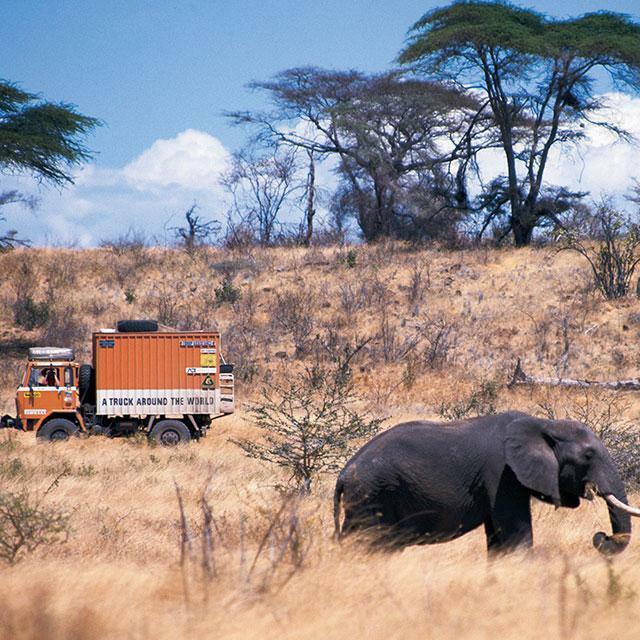 from the Middle East to Asia, Australia, Africa and America, a real world tour! Autohome roof tents: leading the company. 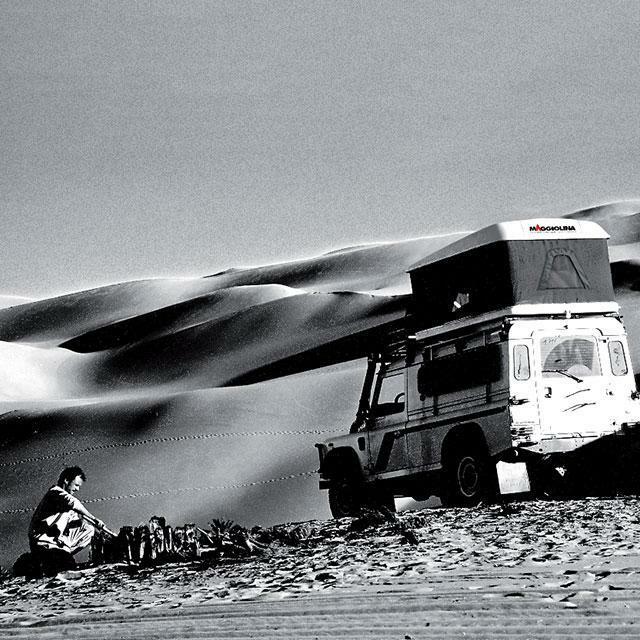 Gianni Perotti, Milanese journalist, in 1985 concluded the “Maternus” expedition crossing the Sahara and reaching Niger, Mali, Senegal and Mauritania. Among the expedition goals, were to research and retrace the supposed route taken by general Maternus from Cartago to the Niger river, according to the Livio and Plinio il Giovane reports. 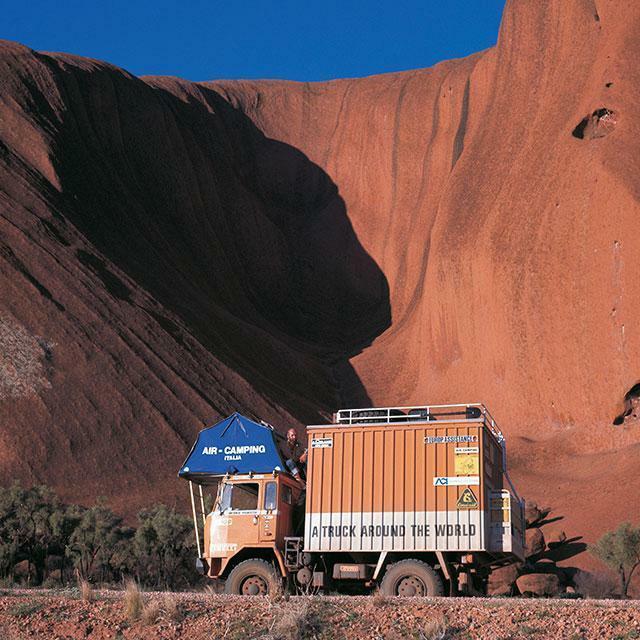 Autohome products are strong even in the toughest environments and climates. Diego Assandri and Luca Oddera. 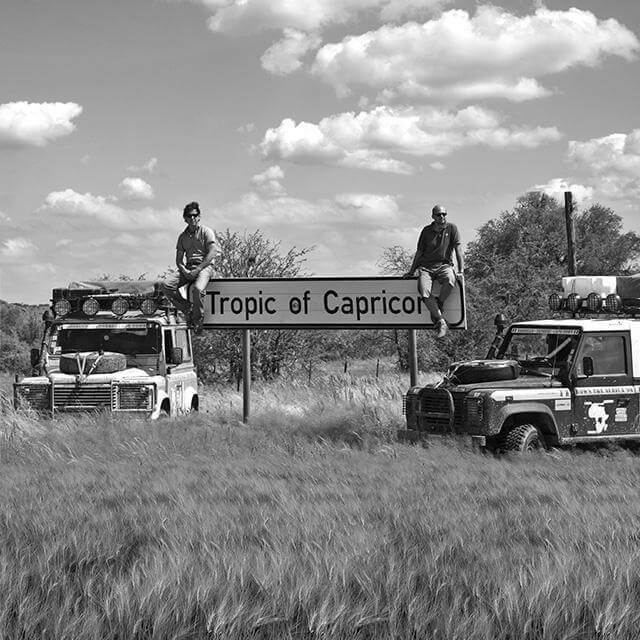 Down the Africa: 25.000 Km through the Dark Continent delivering humanitarian aid. 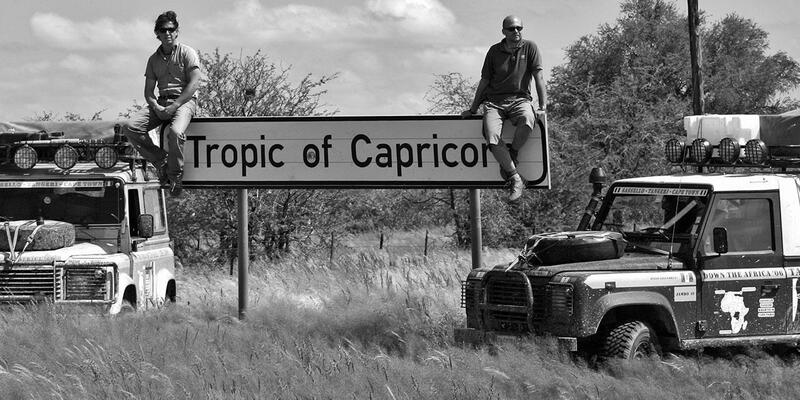 On the silk road with Hilmar and Romy PabePabel. 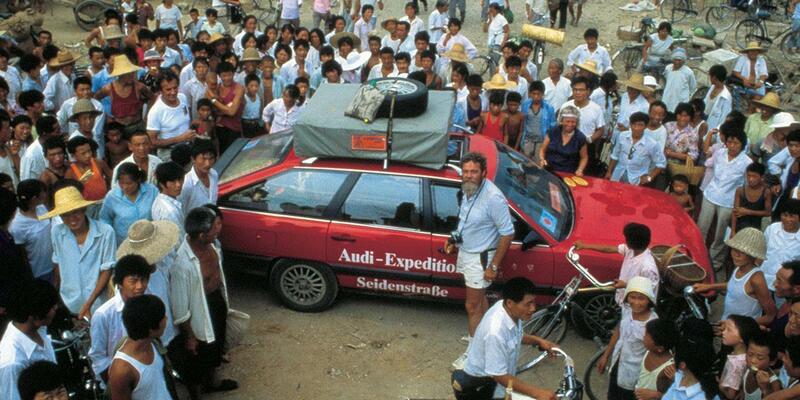 With two Audi 100’s, four-wheel drive, the German couple covered 20,000 km through villages which had probably never seen a car! The Audi-Pabel expedition was detailed in a book “on the Marco Polo prints” (published by Süddeutscher Verlag, Monaco). 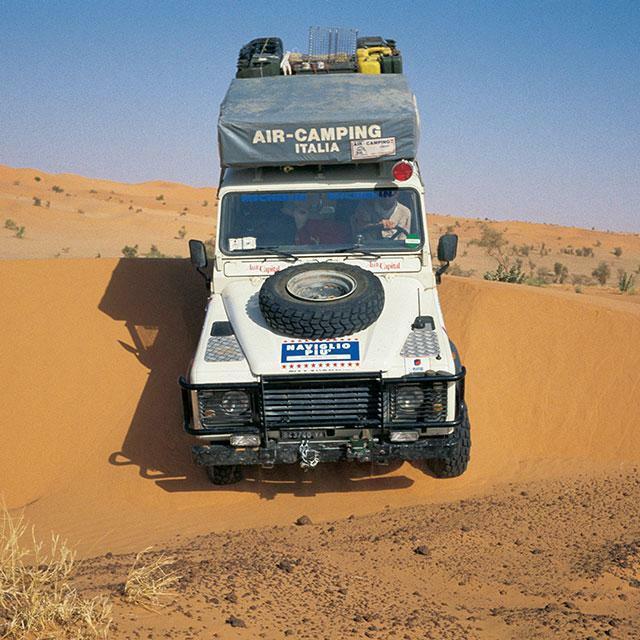 Here, too, Autohome roof tents are part of the equipment. "this tent is comfortable and safe, a really outstanding tent , it has been very serviceable to us". Another exciting adventure for the Swiss Team. 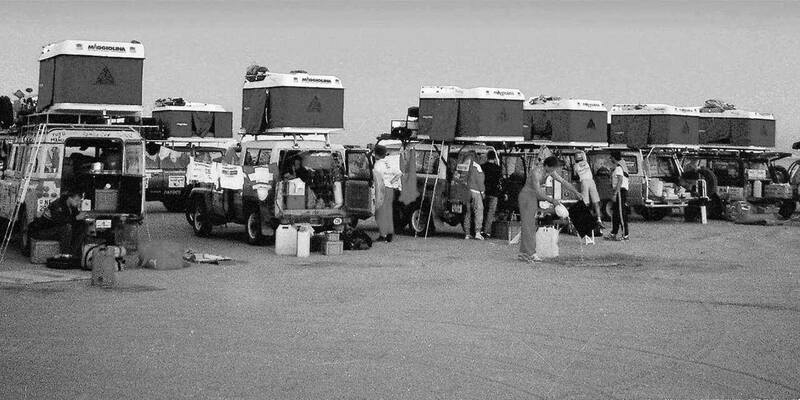 A convoy of 25 vehicles equipped with Maggiolina Adventure Roof Top Tents. 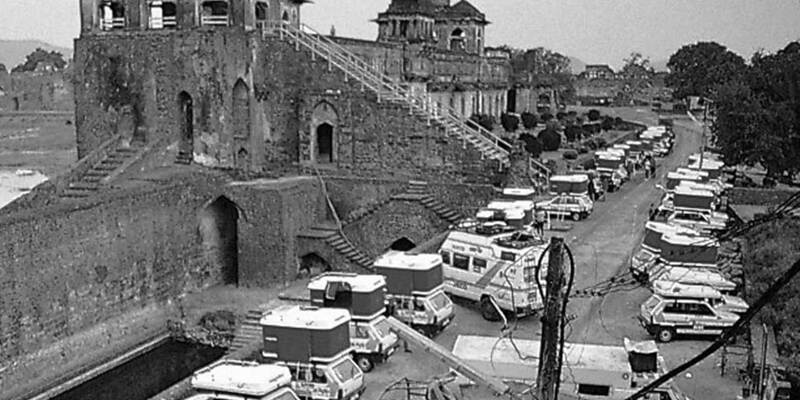 A breathtaking image of India with Autohome roof tents playing an important part. (1990s).